Tool box — pass the ERA. Below are ways you can help fight for the ERA and ensure its ratification. It's important to contact your Congressional representatives to advocate for passage of the ERA, regardless of the state in which you live. A main strategy for passage and ratification involves having Congress reintroduce and pass a new Equal Rights Amendment. The bills requesting reintroduction are HJ 33 (House) and SJ 6 (Senate). Congresspeople respond to direct action by constituents. Find out where your's stands on this map and remember that thanking them for their support is important too. You can write to your congressional representatives directly via the ERA Coalition's website, which offers a form email and contact information for every state's elected officials. 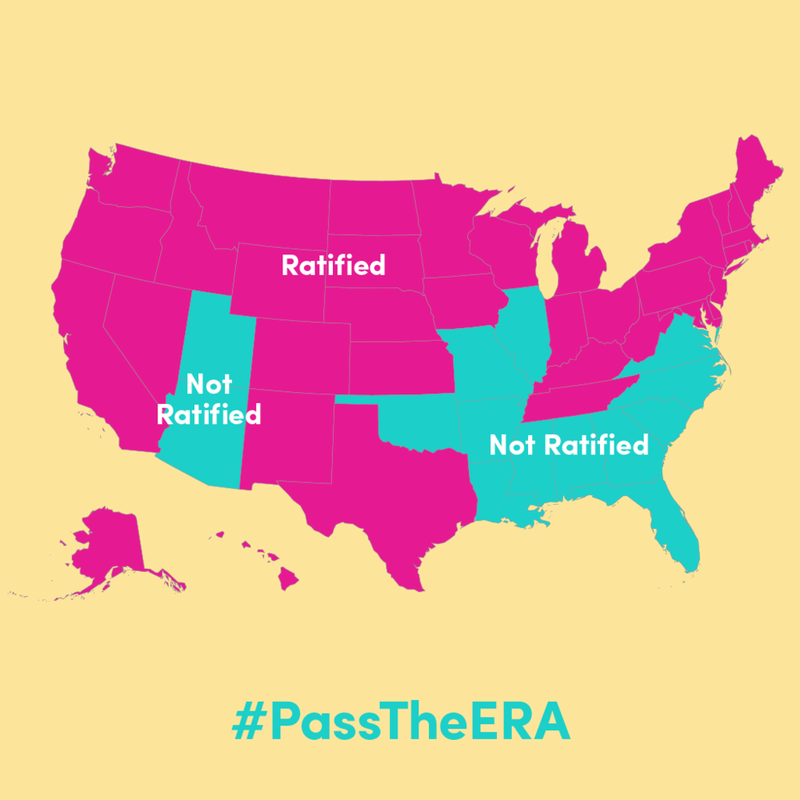 Another main strategy for ERA ratification is known as the "three-state strategy," which seeks to get three more states to ratify the ERA in order to achieve the aforementioned three-fourths ratification and render the amendment law. Nevada ratified in March 2017 so now there are just two states needed. While the official ratification deadline passed years ago (in 1982), many legal scholars believe this deadline has little legal standing and if two more states ratify the amendment, then it will very likely become law. Urge your legislator to pass HJ 53 (House) and SJ 5 (Senate), which are bills that eliminate the deadline for the ratification of the current Equal Rights Amendment. If you live in a state where the ERA has not yet been ratified (you can find a list of the states here (or see on the map) then it is exceedingly important that you contact your state representatives and ask them to introduce or support ERA ratification legislation. It's crucial we raise awareness about the ERA to help secure its passage and ratification. Talk about the ERA, in-person and online. Share your favorite asset from the gallery or create your own. Want to add your idea to the gallery? Email era@enso.co to find out more. It is critical that advocates on the ground have the necessary resources and funding as they fight to pass the Equal Rights Amendment. 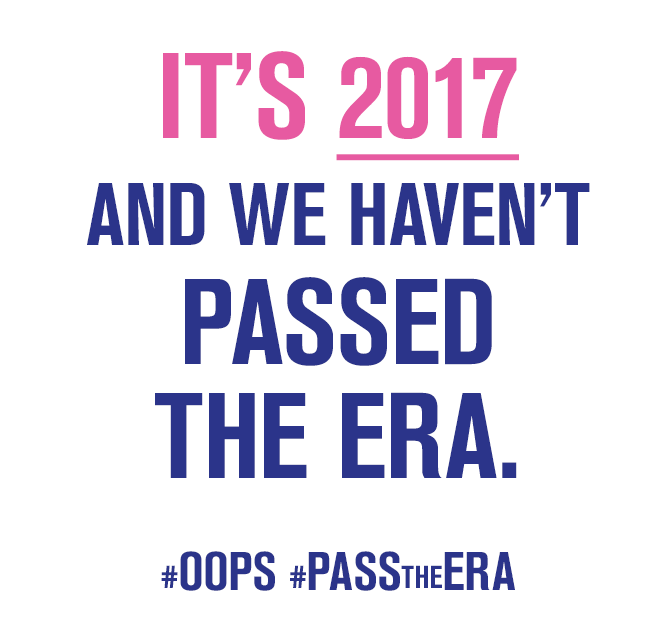 The ERA Coalition works with 25+ organizations working to pass the ERA and their entire mission is dedicated to its passage. Taxable and non-taxable options below. In order to help secure ratification of the ERA, it is also important to demonstrate the widespread public support behind the amendment. You can contribute to this public support initiative by signing the ERA Pledge on the ERA Coalition's website, which constitutes a public declaration of your support for the amendment. You can also add your name to the thousands of signatures on the ERA Coalition petition on Moveon.org that expresses support for ratification of the Equal Rights Amendment.